英文摘要：An alien invasive species greenhouse frog (Eleutherodactylus planirostris), which is considered as one of the most successful invasive species of amphibians, was found in Honey Park in downtown of Shenzhen (southern Guangdong province, China) in July, 2017. This is the first record of this foreign species in mainland China. Line transect surveys were further conducted in municipal green-land and green belts around Honey Park from 10 July to 16 July, 2017 in order to preliminarily understand how this species influence the native species. During the survey, E. planirostris was only found in the 3 isolated distribution areas in Honey Park, and showed higher population density than native species. We then randomly collected 21 specimens including 2 kinds of color types, and 10 of them were dissected for anatomic study. It was found that all of the adult individuals were females. Cryptopone sp. and Blattella bisignata were the only detected contents in stomach, and no stomach contents were found in the specimens which were made on the alternate day. The proportion of adult and juvenile was 5/15 according to our first survey and 49/2 in the subsequently survey. We considered that the Shenzhen population of the species was experiencing a strong population expansion according to the findings of large number of female individuals, fast growth rate and strong digest ability of juvenile individuals. Plant and garden soil trade might be the major invasion path. The invasion history of this E. planirostris population in Shenzhen still remains unclear and requires long-term monitoring. 李成, 江建平. 2016. 无尾两栖类在不同生活史阶段的栖息环境[J]. 四川动物, 35(6):950-955. 林石狮, 叶有华, 孙延军, 等. 2013. 深圳市区域绿道两栖爬行动物多样性评估[J]. 林业资源管理, 2(2):107-112. 唐跃琳, 陶青, 陈永锋, 等. 2015. 广东梧桐山国家级风景名胜区两栖爬行动物多样性研究[J]. 四川动物, 34(5):767-772. Beard KH, Pitt WC. 2005. Potential consequence of thecoqui frog invasion in Hawaii[J]. Diversity & Distributions, 11(5):427-433. Beard KH, Price EA, Pitt WC. 2009. Biology and impacts of Pacific island invasive species. 5. Eleutberodactylus coqui, the Coqui frog (Anura:Leptodactylidae)[J]. Pacific Science, 63(3):297-316. Bomford M, Kraus F, Barry SC, et al. 2009. Predicting establishment success for alien reptiles and amphibians:a role for climate matching[J]. Biological Invasions, 11(3):713-724. Christy MT, Clark CS, Gee DE, et al. 2007. Recent records of alien anurans on the Pacific Island of Guam[J]. Pacific Science, 61(4):469-483. Goin CJ. 1947. Studies on the life history of Eleutherodactylus ricordii planirostris (Cope) in Florida[D]. Florida:University of Florida. Heinicke MP, Diaz LM, Hedges SB. 2011. Origin of invasive Florida frogs traced to Cuba[J]. Biology Letters, 7(3):407-410. Kraus F, Campbell EW, Allison A, et al. 1999. Eleutberodactylus frog introductions to Hawaii[J]. Herpetological Review, 30(1):21-25. Kraus F. 2009. Alien reptiles and amphibians:a scientific compendium and analysis[M]. New York:Springer. Lee WH, Lau WN, Lau A, et al. 2016. 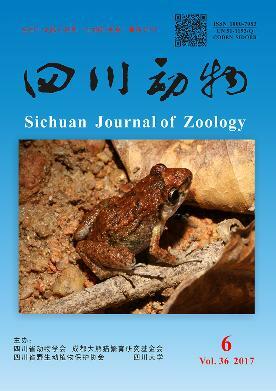 Introduction of Eleutherodactylus planirostris (Amphibia, Anura, Eleutherodactylidae) to Hong Kong[J]. Acta Herpetologica, 11(1):85-89. Lynn WG. 1940. The herpetology of Jamaica[R]. Bulletin of the Institute of Jamaica Science Series, 1:1-12. Olson CA, Beard KH, Koons DN, et al. 2012a. Detection probability of two introduced frogs in Hawaii:implications for assessing non-native species distributions[J]. Biological Invasions, 14(4):889-900. Olson CA, Beard KH, Pitt WC, et al. 2012b. Biology and impacts of Pacific island invasive species. 8. Eleutherodactylus planirostris, the greenhouse frog (Anura:Eleutherodactylidae)[J]. Pacific Science, 66(3):255-270.